Quite often, you’re faced with the task of comparing two or more tables, or query results, to determine which information is the same and which isn’t. One of the most common approaches to doing such a comparison is to use the UNION or UNION ALL operator to combine the relevant columns of the results that you want to compare. As long as you adhere to the restrictions placed on either of those operators, you can combine data sets whether they come from different databases or even different servers. With the UNION operator, you end up with a result containing every distinct row from the two results combined. However, it becomes more difficult to use UNION to return only the common data that is held in both results, or the different data that exists in one table but not the other(s). To get the results you need, you must use UNION ALL with a GROUP BY clause, though the logic isn’t always obvious on how to do this. And it isn’t any easier to use a JOIN operator to get the result you want. . Enter the INTERSECT and EXCEPT operators. 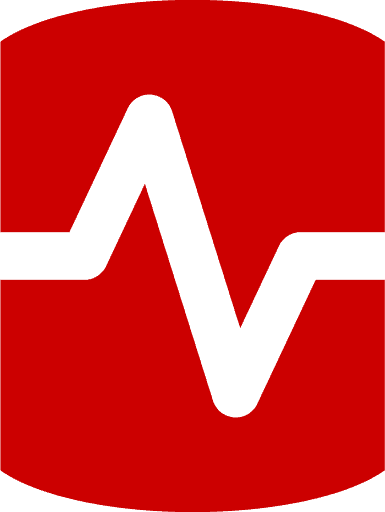 Beginning with SQL Server 2005, you can use these operators to combine queries and get the results you need. For instance, you can use the INTERSECT operator to return only values that match within both data sets, as shown in the following illustration . To return the data in Set A that doesn’t overlap with B, use A EXCEPT B. To return only the data that overlaps in the two sets, use A INTERSECT B. To return the data in Set B that doesn’t overlap with A, use B EXCEPT A. To return the data in all three areas without duplicates, use A UNION B. To return the data in all three areas, including duplicates, use A UNION ALL B. Now we can use these two views to demonstrate how to use the UNION, INTERSECT, and EXCEPT operators. I’ve also included a couple examples that use the JOIN operator to demonstrate the differences.
) Only_Dinner; --Items you only ate once in the day. From this point on, I developed the examples on a local instance of SQL Server 2008 and the AdventureWorks2008 database. Each example uses either the INTERSECT or EXCEPT operator to compare data between the Employee and JobCandidate tables, both part of the HumanResources schema. The comparison is based on the BusinessEntityID column in each table. The BusinessEntityID column in the Employee table is the primary key. In the JobCandidate table, the BusinessEntityID column is a foreign key that references the BusinessEntityID column in the Employee table. The column in the JobCandidate table also permits null values. You can run these examples against the AdventureWorks database on an instance of SQL Server 2005. However, you must first change the BusinessEntityID column name to EmployeeID, and you must change the JobTitle column name to Title. As I mentioned above, when you use the INTERSECT operator to combine queries, the data returned is only that which matches between the two data sets. That means, with regard to the Employee and JobCandidate tables, the result set will include only rows in which the BusinessEntityID value in the Employee table matches the BusinessEntityID value in the JobCandidate table. The first SELECT statement, as you can see, retrieves the BusinessEntityID column from the Employee table, and the second SELECT statement retrieves the BusinessEntityID column from the JobCandidate table. The INTERSECT operator combines the two queries. As it turns out, the Employee table and JobCandidate table have only two BusinessEntityID values in common. If you were to examine the data in the JobCandidate table, you would find that the query results here are consistent with the data in that table. The table contains only 13 rows, and the BusinessEntityID column is NULL for all but two of the rows. The BusinessEntityID values in those rows are 212 and 274. And, as you would expect, the Employee table also contains a row with a BusinessEntityID value of 212 and a row with a value of 274. Certainly, as the above example indicates, using the INTERSECT operator to combine the results of two queries together is a straightforward process. The key, as I’ve stated, is to make sure the SELECT lists in the two queries are in sync with each other. As you can see, I’ve gotten around the limitations of the INTERSECT operator and am now returning additional information from one of the tables. I could have also joined the CTE to a different table in order to include additional information. For example, I might have joined what I have here to the Person table to retrieve the employee’s first and last names. The point is, the CTE let’s you be quite flexible when working with the INTERSECT operator; you can still determine which rows match but also return all the data you need, regardless of the source table. Once you’ve mastered the INTERSECT operator, you have, for the most part, mastered the EXCEPT operator. As I stated earlier, the EXCEPT operator returns only those rows that do not have a match in the joined table. The important point to remember when using the EXCEPT operator is that it makes a difference which side of the operator you place the query. Only data from the query to the left of the operator (before the operator) is returned. Let’s look at an example to demonstrate how this works. This statement is nearly identical to the INTERSECT construction you saw in the first two examples, except, of course, for the use of the EXCEPT operator. However, because the query to the left of the operator is retrieving data from the Employee table, the final result set will include data only from that table, and not the JobCandidate table. The Employee table, as it turns out, contains 290 rows. As you’ll recall from the previous examples, the two rows in the table with the BusinessEntityID values of 212 and 274 match the two rows in the JobCandidate table that also have BusinessEntityID values of 212 and 274. That means, these two rows should be excluded from the result set of the query above, which is exactly what happens. The query returns 288 rows that have BusinessEntityID values of 1 through 290. However, IDs 212 and 274 are not included in those results. Notice that the query that retrieves data from the JobCandidate table now comes first, that is, sits to the left of the EXCEPT operator. The results from this statement, as you would expect, are quite different from the previous example. All that is returned is a single NULL value. In other words, according to the results, the JobCandidate table contains no BusinessEntityID values that are not contained in the Employee table. This is, of course, exactly the case. As with the CTE example above, which uses the INTERSECT operator, you can also use CTEs with EXCEPT operators. But as the last example points out, if your CTE returns no data, your main query will also return no data (at least if you’re using an inner join), but that’s true with either operator. Overall, in fact, you’ll find there’s little difference between the INTERSECT and EXCEPT operators, in terms of how you use them. The difference, of course, is in the results. INTERSECT returns rows common to both queries, and EXCEPT returns only rows in the left query. Both operators, however, are useful additions to the types of joins that the UNION and UNION ALL operators provide. 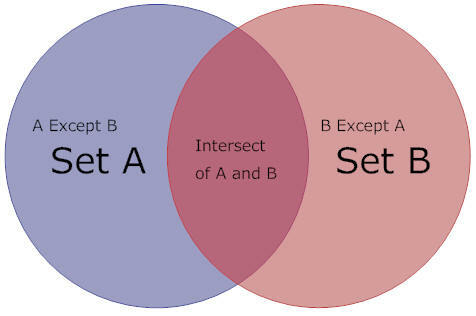 You can find more details about the INTERSECT and EXCEPT operators by referring to the topic “EXCEPT and INTERSECT (Transact-SQL)” in SQL Server Books Online. There you’ll find additional information about each operator and additional examples of how to use them. The latter performs better with AdventureWorks, which raises an important issue you don’t address. Using EXISTS and, especially, NOT EXISTS will often provide the best performance, and doesn’t have the fundamental limitation of only returning the values from the column in common. How does performance compare between EXCEPT/INTERSECT and INNER/OUTER joins? I would have thought that the optimiser would find joins easier to deal with. I would be surprised to find any huge difference in performance between the two approaches, but from my own experience, I’ve found a slight gain from these ‘combine’ operators on serious data. I would always use Except/Intersect/Union where I was doing that sort of set-based operation because it gives the query optimizer more options from which to choose the best strategy. You’ll also find that comparing the two in performance terms will vary with the data. I’d try it with your data and database to see if it works well for you. Thanks for a clear and concise explanation of this feature. Loved the pictures! Very good explanation! Learned something today. I’m getting started with simple talk since 6 months ago and i’m always very please with Robert Sheldon posts. thanks again. I wish I had known about this years ago! All those outer joins with NULLs drives me nuts. EXCEPT will be my best friend now – since I seem to always be comparing data sets in my SQL work (migration/development design). Great Article ! Very clear and crisp explanation. May be a single construct which can do this, would be a great solution ! Nice explanation! A must read article!